Duck Feather & Down Kingsize Duvet 4.5 Tog From Litecraft. Comfort is an extremely important part of any bedroom interior, as it allows you to fall into a deeper and more comforting sleep, leaving you feeling refreshed and ready for the day ahead when you wake up. This 4.5 tog duvet is perfect for keeping you comfortable during the warmer summer nights, as they’re light, yet still cosy and relaxing. 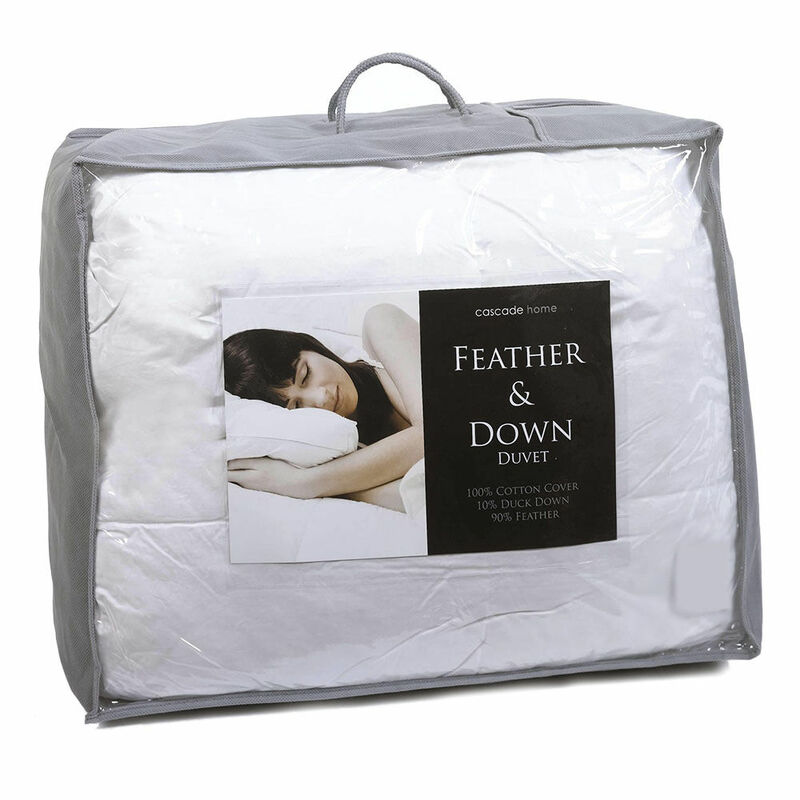 The soft touch of this duvet is created by luxurious duck feathers and down that are used to fill the inside, whilst the cotton percale ensures that everything stays together and also gives a smoother feel.